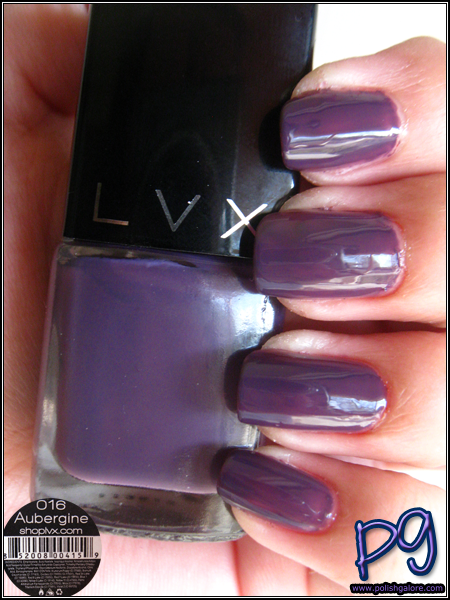 Today I have LVX Aubergine from the Winter/Resort 2013 collection. This is a purple creme that is not so Barney purple but not dusty either. I decided to change it up and use the LVX 3-1 treatment which can be used as both a base and a top coat. Please note that the 3-1 treatment is not fast drying, so take care to let all coats dry before applying your next coat. I used the 3-1 treatment for my base coat, 2 coats of Aubergine and then the 3-1 treatment for my top coat. The first coat of Aubergine was a little rough but the second coat evened things out. Once in the sun though, I wished I had added a third coat to completely have full coverage. See what I mean in the sun? It's totally not opaque. I don't know if it has something to with the 3-1 treatment, because I've never had this kind of reaction from LVX before. At least in the shade, it's better! I do need to pay more attention to my cuticles. Proper cleanup makes a manicure complete! 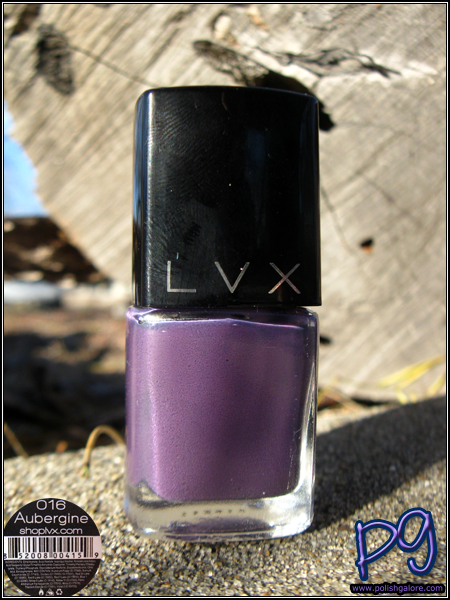 So I really do love this color for winter (can you just imagine it with some silver glitter at the base!) but today it was just a hot mess of unevenness. I'm blaming the 3-1 treatment and plan to use that when I wear naked nails (which happens more than I want to admit).